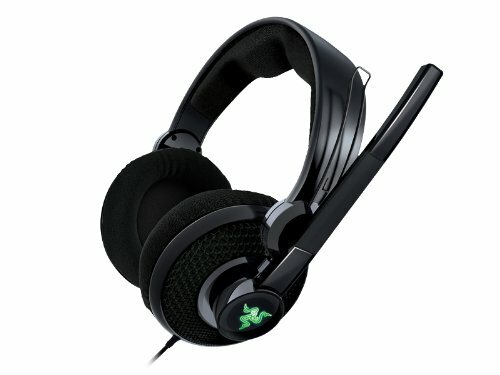 I have been looking for a headset for a while and I was wondering if you guys had any recommendations. I am looking for anything that’s decent under 80 bucks. Obviously, I don’t expect something amazing for the price, but something decent should suffice. By the way, I saw this on Amazon. Does anyone have it or have thoughts on it? Maybe one day I will no longer be a silent elephants! Anyway, I hope everyone has a wonderful Christmas Eve! I can’t comment about the one above but being 50% off makes it seem like a good deal given the generally positive reviews. This is the one I personally use and have for some time. It functions well, is comfortable and most importantly durable. The thing has been through hell with many LANs and many moves and still works like a champ. I like it so much that when the plastic broke during a harsh move I repaired it with Avengers Ducttape and it continues to work just fine. Honestly, unless you are going for a ultra-premium product I don’t think you will notice too much different between many of these headsets. For me, I look for an over-ear head set with a adjustable/retractable mic and an inline mute/volume adjustment all around 50 bucks. These things are fairly standard for gaming headsets now a days and I don’t think you can go wrong with many different options. With the current amazon sale of 50% off I think I would personally feel very comfortable making that purchase. In fact, if mine wasn’t still working so well I’d probably make an upgrade to it. I know quite a few people that have the G430s, they are pretty solid headsets actually. Alright, I pulled the trigger. Thanks for the input everyone! I shall no longer a silent elephants! Huzzah! After all this hype you better have some James Earl Jones level voice or we will be disappointed. I am looking forward to hearing the voice after all these years! The anticipation is killing me. This is what I use; exceptionally comfortable with very good sound quality. Oh noes! There’s so much pressure now. Man, I hope I won’t disappoint. I’m going to hijack this thread for my own use. I’ve been using a Razer Deathadder mouse I received for free as a promo and have enjoyed it so far but it is starting to randomly cut in and out and also will double left click occasionally when I try to click. I was wondering what gaming mice you are using and would recommend? But I haven’t had any issues. I love that mouse. Oh don’t get me wrong. I love it and it has lasted a good 5 years or so and gone through many abuses. Honestly, unless I see a more compelling mouse that others use I’m likely to just buy another. Just wanted to get feedback about what mice everyone uses since I’m likely to be in the market for a new one here soon if this one continues to have connectivity issues. I had two razer mice go out on me and I won’t buy them again. I bought a simple logitech gaming mouse with 5 buttons and it has been the most reliable mouse I have had yet. It is a few years old now I can’t even find it to post a link. My old one did that very exact same thing after the same amount of ownership. I replaced my Deathadder with an Imperator and love it just as much. One small feature I did like is that it has adjustable thumb buttons. The overall feel of the mouse is great and it has a similar shape to the Logitech G500 but just a tad smaller than the Deathadder. If you cannot shy away from the Deathadder, they just released the Chroma Series which is super nice. I’ve had this mouse for many a years and love the way it fits my giant hands. I have a deathadder at work, and I’ve always found it too large for my uses. Then again, I want something that can basically sit comfortably within my finger claw and only take up 20% of my palm. Death Adder 2013 is one of the best mice on the market. Hmm, I think I will have to be on the market for one of these mice soon too. I have been using an old Microsoft Comfort 3000 like a pro :smug: One of the ones above will make a pro sniper like Carl or Korben, right? I have a Logitech G9x at home, but it appears they don’t make that particular model any longer. I also have a generic Logitech laser mouse of some kind in the office. I really like them because they’re comfortable in my hand for long periods of time and the sensitivity can be finely tuned to your exacting preference. If I was in the market for a new mouse I’d probably take a look a what Logitech has to offer these days. Last week in a panic after I had done quite of bit of cleaning and shredding of quite a bit of paper on my desk i discovered I had misplaced a tax refund check, and to make a long story short…I sat on the only vital piece of my Logitech G930 headphones…the wireless receiver piece. So I’ve always had Logitech headsets and I’ve generally had pretty good luck with them. However, I’ve got a razer mouse and keyboard, and I’d like to minimize the different software I’m running…anybody want to recommend a good razer headset?